Hello! 2018 is the year for seriously trying out new things. I've been a hesitant scrapbooker and honestly end up only creating 1-2 layouts a year. THIS IS MY YEAR to do better and try harder. I've joined up with talented team of Stampin' Up! 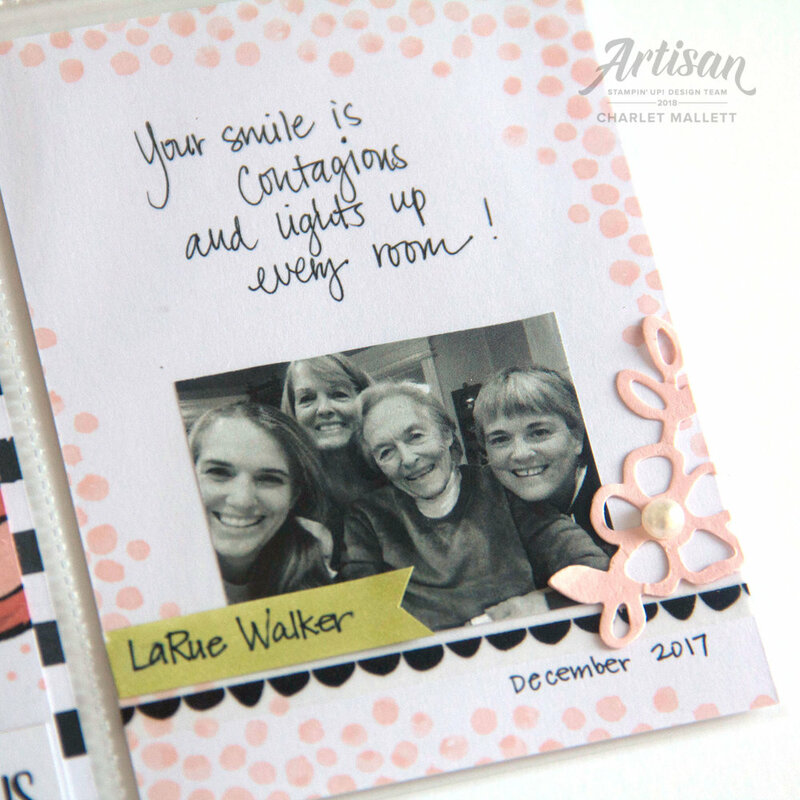 scrapbookers to hop along the 3rd Sunday of every month and share exclusively scrapbooking ideas using Stampin' Up! products. We were asked to create a page using only these colors; Coral, Green and Black. Any coral, any green and black. I used shades of Calypso Coral and Blushing Bride along with shades of Old Olive and Pear Pizazz. I think pocket pages are the most realistic way for me to enter this field. I decided to create a memory book for my Grandma. She has a summer birthday and I thought a book of memories from the last few years would make a nice gift. My first page documents a recent visit. 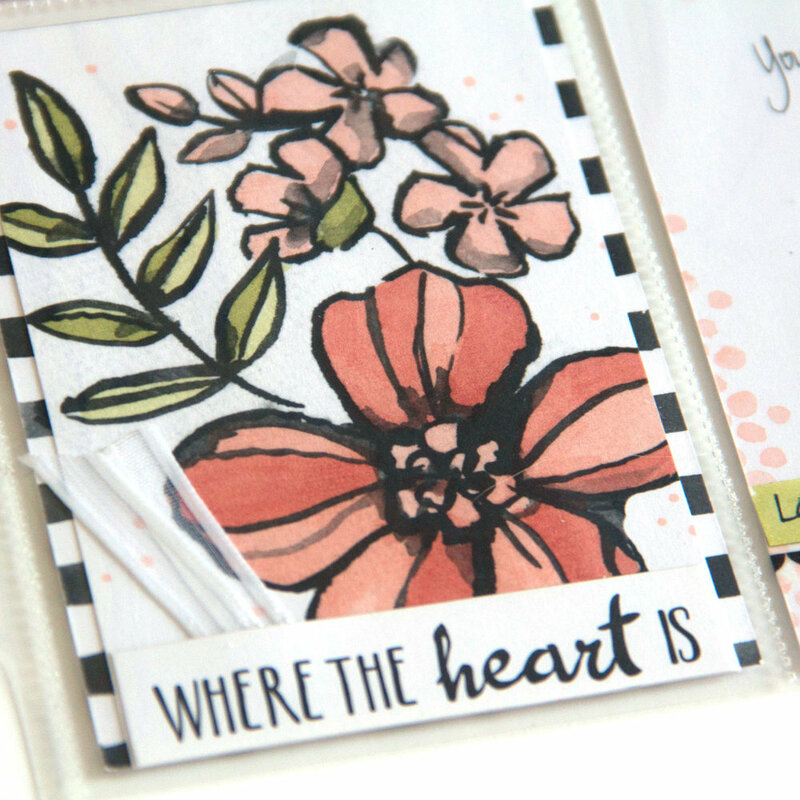 I used products from the Petal Passion Memories and More line, and Stampin' Blends. I hope to learn and will certainly be inspired from all the other fabulous creators in this hop. Ok, let's go! Thanks for visiting. Hop along with us and check out what the group has created. Next up is Jessie!